Be sure that your lights are appropriate for the location. ‘Tis the season to stay safe! Safety is a 365 day a year concern for all of us. Different seasons call for different reminders of how to stay safe, and the holiday season is no different. I don’t know about you, but I get caught up in the wonder and joy of the lights, the trees and the decorations each year. I must remind myself these come with their own set of risks that I need to pay attention to. As the health and safety representative for Threads of Life staff, I did some research and made this one of our monthly safety topics for our staff – here are some highlights from what I learned. In my neighbourhood it is a sure sign that the season is upon us when the neighbours all bring out their ladders and put the lights up on their houses. It is usually on one of the last nice late fall days before the snow flies. If it is your job to put up the lights, remember to make sure that the ladder is on a stable surface and that your boots are clear of mud or snow (depending on where in Canada you live!) before climbing. Don’t stretch or reach beyond the side rails of the ladder to string the lights, move the ladder as necessary. Take another person out with you to help guide you; don’t go it alone. Be sure that your lights are appropriate for the location. Indoor lights inside and outdoor lights outside please! Extension cords are another risk at this time of year. Check each cord for any frayed edges, or any worn looking sections. Cords should not feel warm or hot when in use. Please replace them if necessary. You can check healthycanadians.gc.ca — “Recalls and safety alerts” for any consumer product recalls. 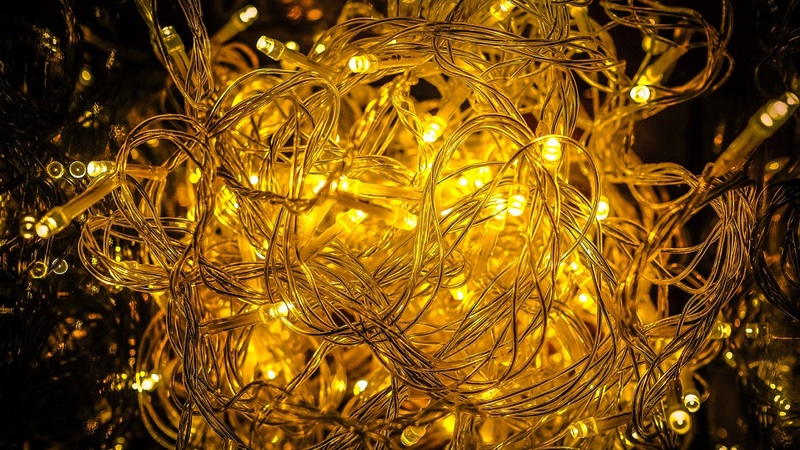 It is a good idea to keep the packaging from your lights and cords so that you can check for recalls each year. If you put up a tree in your house be sure to turn the lights off when you leave the house, or are sleeping. Santa doesn’t need your lights to guide him; he has Rudolph! Please remember these tips in your workplace as well as your home. Someone needs to be sure that everything is well and good with your decorations at work too. Be that someone. Check out CCOHS’s OHS Answers “Holiday Safety” for other holiday safety tips. Have a safe and wonderful season! Kelley Thompson is the office and administrative assistant for Threads of Life.